We are going to the zoo zoo zoo! 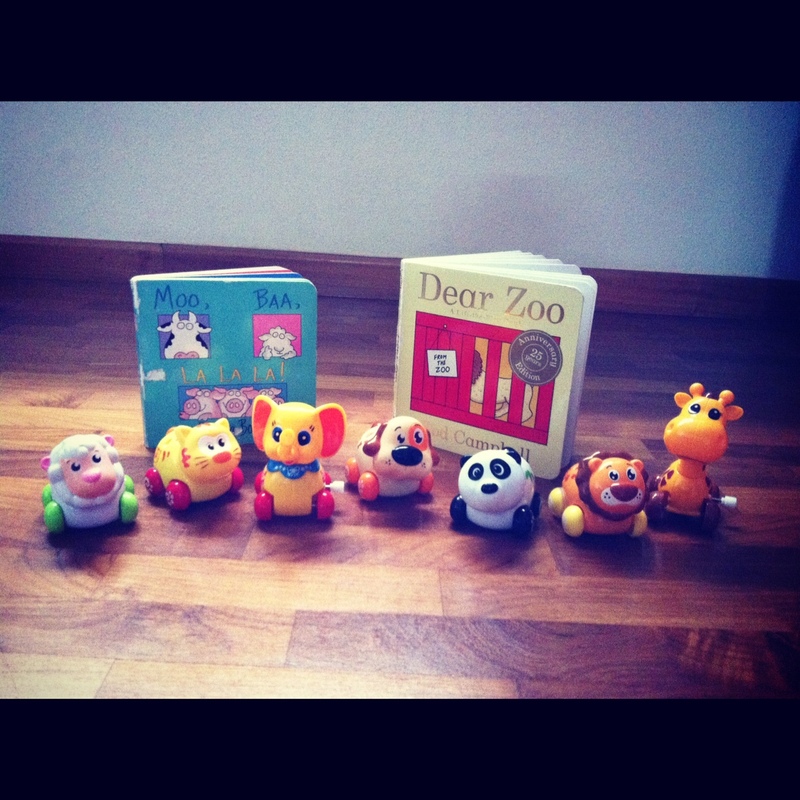 Let’s go to the zoo, zoo, zoo! The night before our zoo trip, I ran through my list of things to bring again and packed our bag. These are two of his favorite books I had to bring along. One of the books, Moo, Baa, La! La! 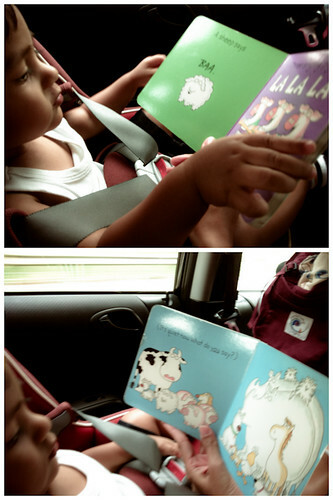 La!, was for me to read to him while on the way to the zoo and the other, Dear Zoo, is for him to relate the pictures in the book with the animals in the zoo. 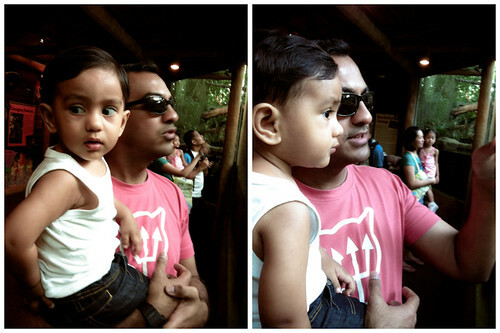 Umar got excited even before we reached the zoo. He was happily ooohing and aahhing when he saw a hee-yuge zoo poster as we filtered into the zoo driveway. 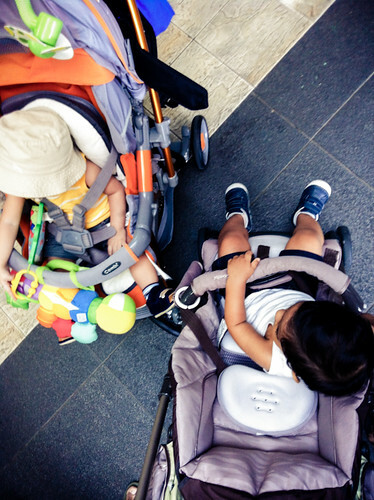 Umar Khalif meets Ilhan Hadi in each other’s rides. We decided to go without the wagon, knowing that he would either walk or cling on to me. 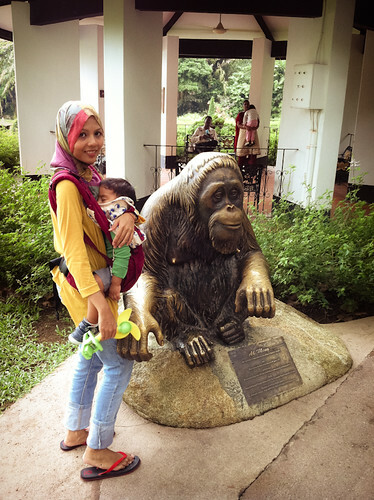 Singapore Zoo has indeed changed since the last time I visited it. I could not recall seeing a water feature just after the gift shop. The water feature is really beautiful! We could see the look of amazement on him as he watched the animals. It sure made the characters in the books that he had been reading come to live! I mean, how could he have imagined a giraffe to be SOOOOO tall when reading his books and playing with his miniature giraffe toy? 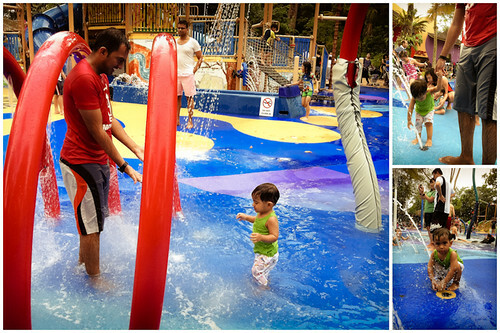 After all that animal watching in the sweltering hot sun we decided to cap it off by letting Umar play at their KidzWorld – Wet Play Area. 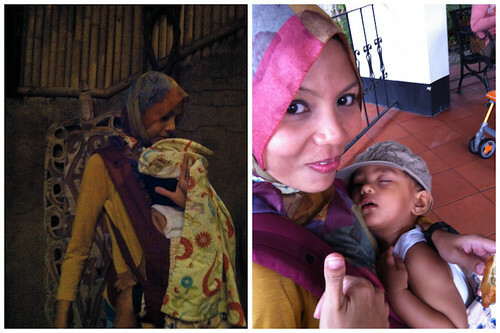 This was certainly the highlight of the trip for Umar. 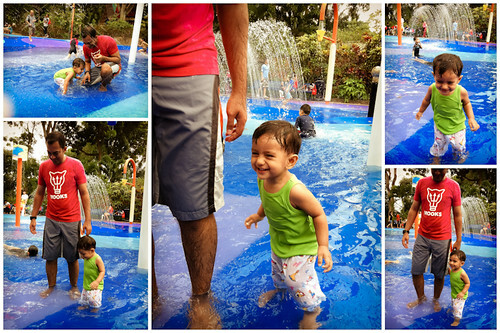 Well, you’ll see from the pictures that Umar was simply beaming with so much joy while at the wet play area. 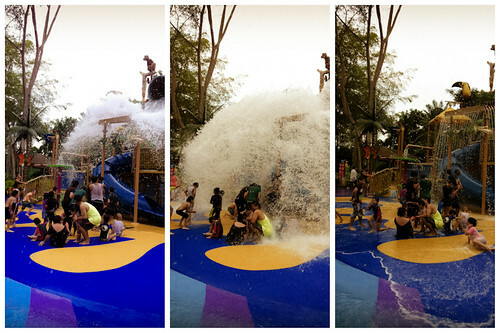 It really tickles me when the bell rings and everybody starts to crowd around below the huge pail to await a big splash. 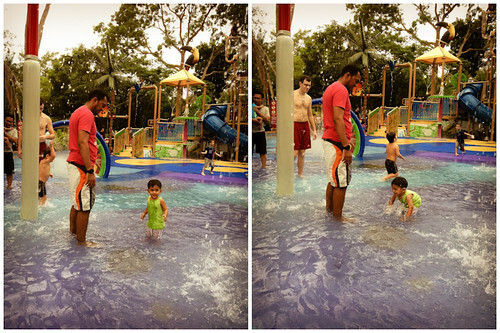 It was so fun for Umar that he ran to the play area even after we changed him to his dry clothes. I Ergo-ed him and immediately after he nursed, he fell asleep. see?